Intas is a global fastest growing pharmaceutical formulation development, manufacturing and marketing company in India. Intas is one growing Indian company in the biosimilar with 13 commercialized biosimilars including Docetaxel & Paclitaxel. 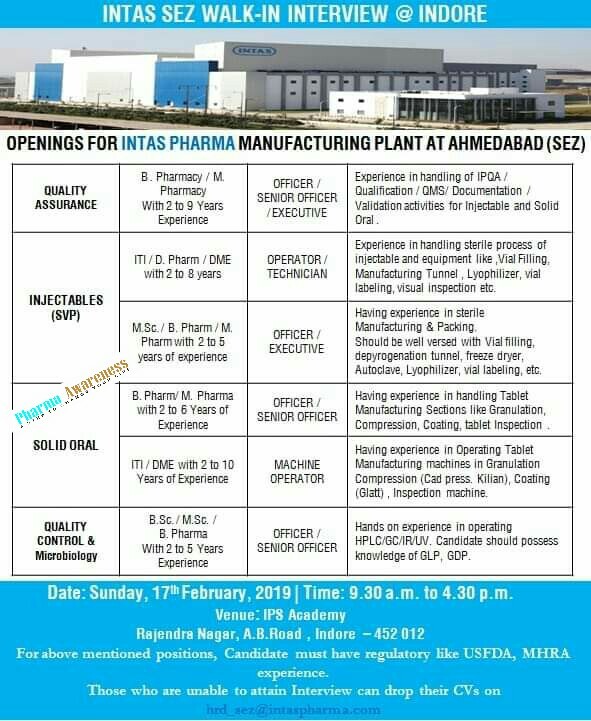 Intas Pharma Walk-In Interview at Indore For QA, QC, Microbiology and Production. How to Crack Your Job Interview? Intas have leadership position in the domestic market in chronic therapies like as Neurology, Psychiatry, Cardiovasculars, Diabetes, Oncology, Urology, Nephrology, Rheumatology, Gynecology, Infertility, Gastroenterology, Pain Management & healthy presence in other major therapeutic segments. Intas continues R&D efforts in chronic disease areas like as oncology, rheumatology, auto-immune, nephrology, ophthalmology and plasma derived product based therapies. Intas have 14 formulation manufacturing facilities, of which 07 are located in India, and the rest in the U.K. and Mexico. 02 of their flagship facilities are accredited by USFDA, EMA, MHRA, TGA, etc. It is the first company in India to have biologics manufacturing facility accredited by the European Health Authority. Intas is dynamically involved in the improvement and commercialization of biologics . Eight biologics drugs have been commercialized in India and around Fifteen biologics are at different development stage. 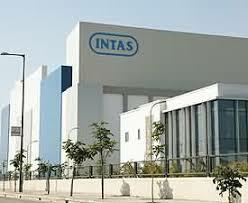 Intas manufacturing unit at Matoda near Ahmedabad is spread over 1,01,171 sq. mts of land. The plant has dedicated manufacturing facilities for Tablets, Capsules, Pellets, Effervescent Tablets, Parenterals (PFS, Liquid, Lyophilized) and Cytotoxic formulations (Tablet, Capsule, Liquid Injection, Lyophilized Injection, Ointment).